Parkway Plaza Dental is open Monday thru Thursday from 8 am til 5 pm with the exception of Tuesdays when we extend our hours til 7 pm. We also schedule appointments every third Friday of the month. Your appointment will be scheduled as promptly as possible. We try our best to stay on schedule to minimize your waiting. We appreciate your understanding should an emergency case arise and cause delays. Complimentary Wi-Fi is available in our lobby for the convenience of our patients to stay connected with their family, friends and business. If you have forgotten your reading glasses, don’t worry, we have a pair for you so you can enjoy reading the daily newspaper or catch up with the latest magazines while you are waiting for a friend or family member to complete their appointment. Our patients enjoy the ultra quiet headphones available during dental treatment. Satellite audio selections help make your visit a little more relaxing and enjoyable. 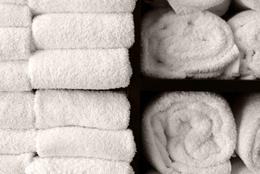 Once your treatment is complete, warm facial towels and soothing lip balm add a final touch to your visit. Each dental suite has an outdoor view or the option of viewing a favorite TV selection or movie during a routine cleaning or dental treatment. Our private scheduling alcove allows patients to ask questions concerning dental treatment, costs, insurance benefits as well as addressing other concerns.